The Kotilingeshwara Temple lies in a very small village named Kammasandra in the Kolar district. 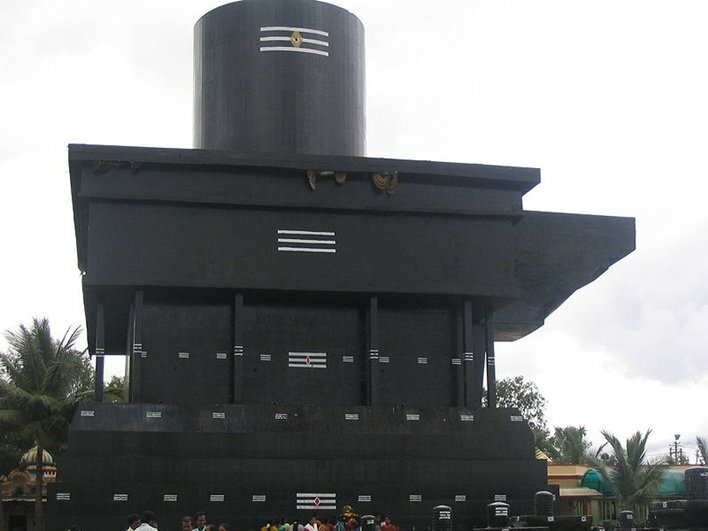 The temple is extremely famous because of the largest and the tallest Shivalinga present in Asia. More than 2 lac devotees visit this temple every year. Maha Shivaratri is a special occasion and a large number of devotees make it a point to be there on this auspicious day. The temple can be easily reached from the gold fields of Kolar. The Shivalinga is 33 mts and is the tallest in the World. It has an accompanying Basava statue which is 11 mts tall and is surrounded by a large number of Shivalingas spread across the area. The project involves an establishment of one crore shivalingas hence it is named Kotilingeshwara and currently, there are about a hundred lakh shivalingas. The best time to visit: between July and January. This temple has been constructed by Swami Sambha Shiva Murthy in the year 1980. 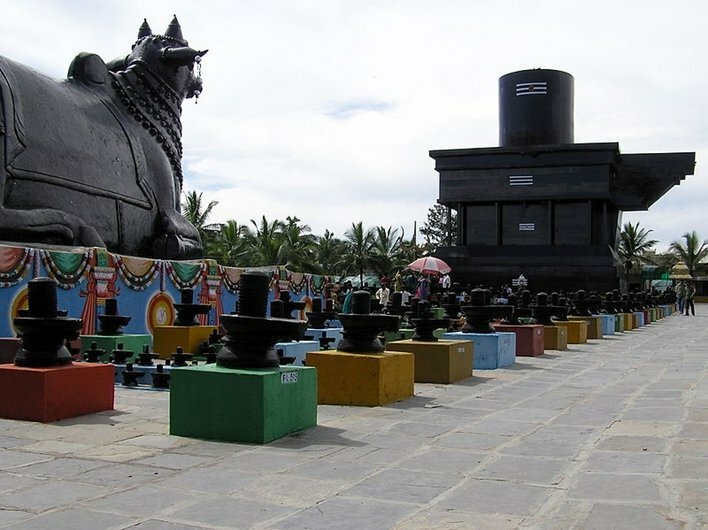 The first linga was installed in 1980 and since then there have been many lingas present in the temple. 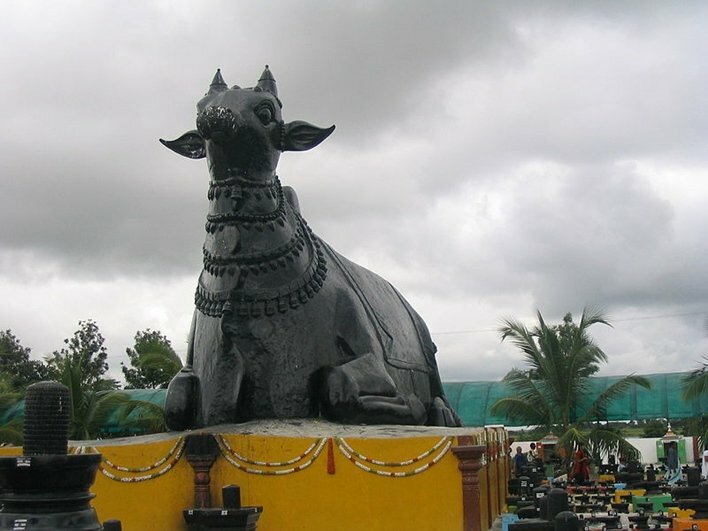 There is also a huge and tall Nandi installed beside the linga. The Nandi is 11 mt tall and sits over a huge platform. Within the premises of the temple, there are about eleven other temples for different deities. The first of them includes the temple of Lord Vishnu, Lord Brahma, and Lord Maheshwara temples. This is followed by a temple of Lord Kotilingeshwara. The temples include Goddess Annapoorneshwari Temple, Goddess Karumaari Amma Temple, Lord Venkataramani Swamy Temple, Lord Panduranga Swamy Temple, Lord Rama, Sita and Lakshmana Temple, Lord Panchamukha Ganapathy Temple, Lord Anjaneya Temple, and finally Goddess Kannika Parameshwari Temple. 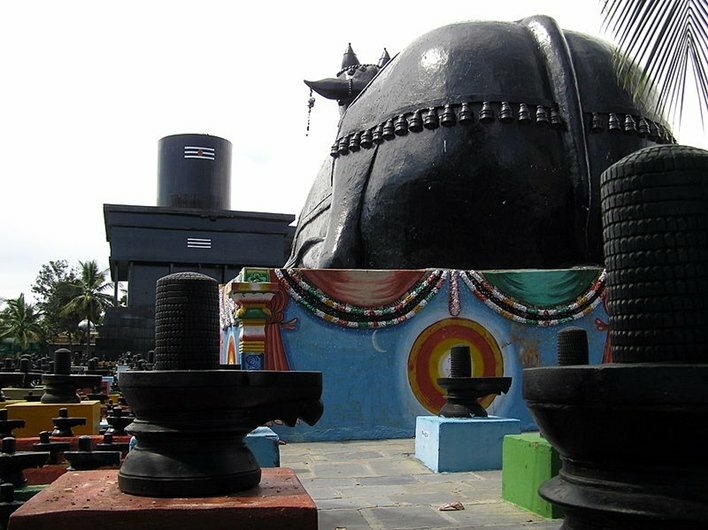 The Government has declared this temple as a tourist spot so that hundreds of tourists from across the World can come and pay their respects to the largest Linga in Asia. Two flower trees, named one Nagalinga and Cannon Ball are located here, and many unmarried women pray for a blessed and happy married life. Daily poojas are performed at all the installed Shivalingas by the priests every day. The pooja is carried out with music and drums and all the priests recite mantras as well as pour water on the lingas. The devotees can also offer special poojas by installing the lingas. 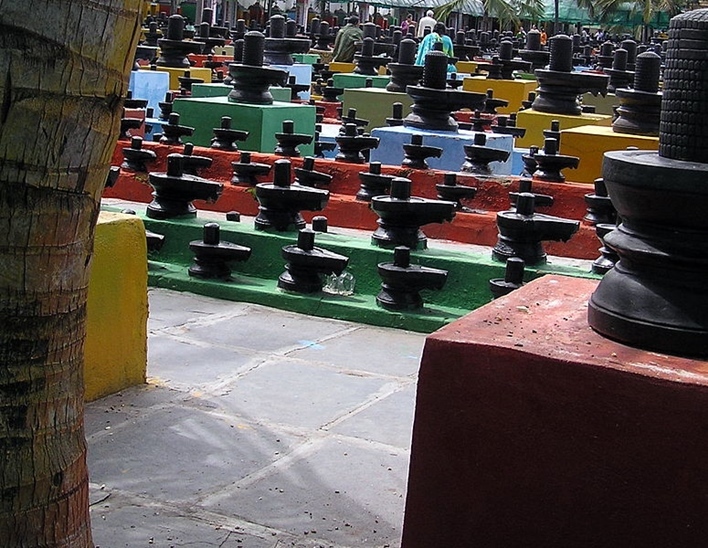 These lingas can be installed on any day chosen by the devotees in their names. Regular poojas will be carried out and offered to all the lingas installed. There are rest houses constructed for devotees in the temple premises. In addition, free mass marriages are performed here every year. This is carried out by priests with drums, music and chants. Currently, there are around twenty weddings performed every week. There is also a meditation hall built for devotees who wish to meditate in peace. The nearest airport to Kolar is located at Bangalore. From the airport, travelers can hire cabs or rely on public transport to reach Kolar. There is a well-connected rail network from Bangalore, Mangalore, Hassan, Kolar and Hubli. If you want to reach the temple by road, you need to head through Kolar. Kolar is at a distance of 2.5 hours from Bangalore.